The aroma of Black Pepper Essential Oil is reminiscent to freshly ground peppercorns, but it is a bit more complex with hints of green and perhaps a bit of floral. Black Pepper Essential Oil has one major advantage: it doesn't irritate your eyes or make you sneeze like ground peppercorns can. Aromatically, Black Pepper Essential Oil is not one that I ever use in a diffuser or blend on its own, but it really helps to perk up and add heat and spice to your blends. It is a middle note and can help to bring together fleeting top notes and heavy base notes. Black Pepper Oil blends well with most other essential oils including other spice oils, citrus and floral oils. It can be used as a substitute for Pink Pepper Oil. Therapeutically, Black Pepper Oil helps to improve circulation and can help to ease the pain of aching muscles. I have used it, appropriately diluted, to help when arthritis had been causing severe pain in my knee. Although Black Pepper Essential Oil offers numerous benefits, it does not contain piperine, the constituent that is responsible for helping to improve the absorption of tumeric. Some sources mistakenly claim that it does contain piperine. Emotionally, Black Pepper Essential Oil is stimulating and is a good choice for inclusion in blends intended to help enhance alertness and stamina. Black Pepper should be avoided before bedtime. In her book Aromatherapy Science, Maria Lis-Balchin mentions a small study that may indicate that cigarette cravings may be decreased by inhaling Black Pepper Essential Oil. [Maria Lis-Balchin, Aromatherapy Science: A Guide for Healthcare Professionals (United Kingdom: Pharmaceutical Press, 2006), 101.] For more information on smoking cessation, see AromaWeb's Guide to Essential Oils and Aromatherapy Techniques That May Help With Your Efforts to Quit Smoking article. Cognitive support and brain health. 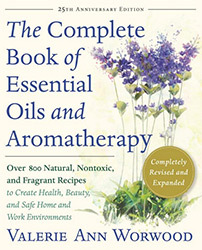 Source: Dorene Petersen, Presentation: Clinical Use of Aromatherapy for Brain Health: 7 Essential Oils. August 9, 2017, New Brunswick, NJ. Alliance of International Aromatherapists 2017 Conference. AIA 2017 Conference Proceedings page 221-222. Source: Julia Lawless, The Encyclopedia of Essential Oils (Updated Edition) (London: Harper Thorsons, 2014), 162-163. Source: Shirley Price, The Aromatherapy Workbook (Hammersmith, London: Thorsons, 1993), 54-5.